Imagine two security cameras propped up in the corner of two different offices, each recording the goings-on in the office in HD. Assuming that the cameras only record images and not sounds, imagine you now see – in both offices – the CEO of the respective companies walking into the office and handing over a file to one of his employees. In office A, as the CEO leaves, you see the employee in question looking bored, perhaps even annoyed. In office B however, you see the employee looking excited and keenly flipping through the file. As a viewer of the video recordings, you might thus wonder: why the difference in their reactions? Before we tackle the question, let’s add three assumptions to the situation: First, the file given to each employee contained the exact same task. Second, the states of both employees are exactly similar. Last, the two CEOs used the same intonation, facial expressions, and body language to communicate the message. Thus, the security cameras showed no difference and the only difference was the choice of words by each CEO. The first CEO, as he hands over the file, says, “Assalamu Alaikum Ahmad. This is a new job I have for you. I did the same thing with success last year, just do it the way I did it, and hand it in by the end of the week, okay? Jazakallah khayr!” He smiles, places the file on the table, and leaves the room. The second CEO, as he hands over the file, says “Assalamu Alaikum Ali. This is a new job I have for you. I did the same thing with success last year, you might want to take a look at my case file as it may be useful to you. Hand it in by the end of the week, okay? Jazakallah khayr!” He smiles, places the file on the table, and leaves the room. So what is the difference between the first CEO and the second CEO that made their employees react differently? If you browse through most books on leadership, you will find that a lot of them focus on the mannerisms and speech of the leader in order to gain the trust and loyalty of his subordinates. While these things do play a part, there is an underlying key essence missing from all those books: the question of intent. While the difference may seem minute at surface level, what it actually hints at is the underlying intent of both CEOs, an intent which is quickly and subconsciously picked up by both Ahmad and Ali. What Ahmed’s CEO is essentially saying when he says “… just do it the way I did it…” is that Ahmad is his means to get the task done. He is, whether he realizes it or not, taking from Ahmad. In Ali’s interaction with his CEO, however, what his CEO is doing is giving Ali the option of doing the task whichever way he wants to, while offering his own experience as a form of assistance. With Ali at the helm of the decision-making, what this means for the CEO is that while the task may see the same success as it did last year (or perhaps even more success), there is also the real risk that Ali might spectacularly fail at the task and cause some damage to the company. However, Ali’s CEO understands that by allowing Ali to make the call, he is giving Ali the opportunity to learn and to grow. In this situation, Ali is the ends (the beneficiary) to the equation. Before making a decision or setting tasks that involve someone other than yourself, take a second to check your intentions. 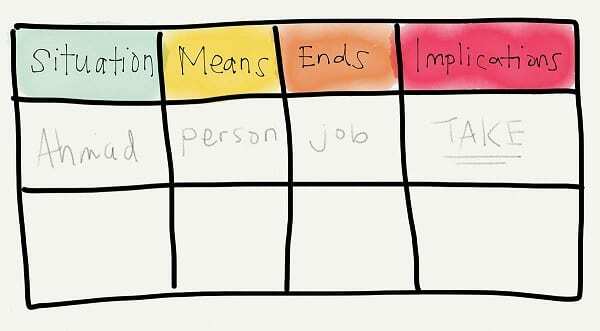 Draw up the Means and Ends table as shown above (literally or figuratively), with columns indicating the situations, the means, the ends, and the implications of the action. A: Make it compulsory for all students to complete 100 surveys for my research, regardless of whether or not they will learn from it (surprisingly, I have heard of lecturers who do this). B: Give students a range of topics to choose from, depending on their area of interest, the lecturer’s research field being one of them. 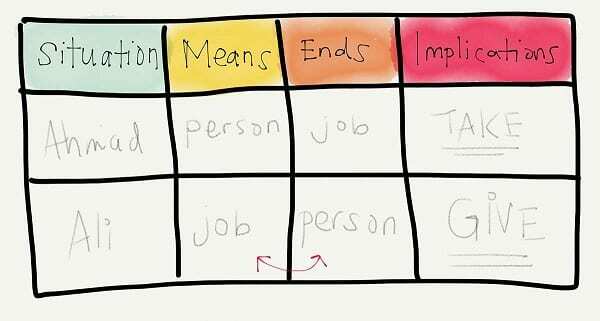 Under the means and ends column, indicate appropriately with respect to the situation who or what is the means, or who or what is the ends. In the above example, the lecturer is obviously using the students as the means to get the job (his research) done in Option A, while option B indicates that the students are the ends (his research may or may not get volunteers, but everyone learns something). Finally, indicate in the implications column whether that situation is one of you giving, or one of you taking. What is the intention behind your work? Almost every action we commit to in this world can be a form of ibadah if we are doing it with the right actions and intentions, and for the right reasons. In a world that demands most of our time to be spent in the office with our co-workers, subordinates, and managers, it is crucial that we make our work not just a means of getting rizq, but also a form of ibadah. When we do so, we close the duality that the secular world proposes we adopt, where religion only exists in the personal sphere, away from public places like the office. Checking our intentions every time we perform a task or get others to do something directly affects results because: we consciously keep ensuring that our expected outcomes include more than just bottomlines, alot of friction at the workplace is minimized because our intentions for collective growth are sensed from our words and this in turn infuses subordinates with the enthusiasm to give their best and achieve together. 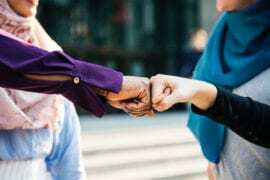 The painful truth is that the traditional model of leadership that a lot of us unconsciously follow is built upon the idea of achieving results through people. As Etsko Schuitema, author of the Means and Ends exercise, notes, the word ‘resource’ in the term ‘human resources’ speaks volumes of the corporate world today. According to Schuitema, the term ‘resource’ itself indicates that the resource is meant to be taken from until it runs dry, or when it is no longer needed due to various reasons like the accomplishment of the desired results. I think anyone who has been in the corporate world long enough will have no qualms agreeing to the above. I’ve only worked for four years and already have an array of relevant examples! The simple fact is: the traditional understanding of leadership is all about taking. It is about using or manipulating ‘resources’ to achieve an end. 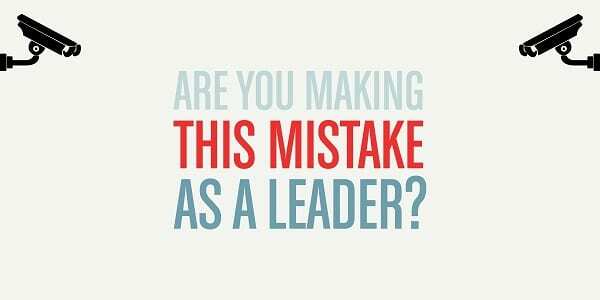 What’s broken about the old understanding is that it continuously puts the leader in a position of taking, while his subordinates have no choice but to keep on giving until they have nothing left and naturally, over time, they will feel used and abused. 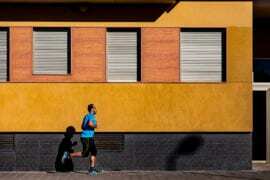 It is no wonder then that management experts say: “The employee does not leave an organization, he leaves the manager,” just as this article notes. When we find ourselves in positions of power, whether in business, at school or at home, it is high time that we switch our mindset. Instead of achieving results through people, we now need to learn to achieve great people through results! After all, when we empower others and help them grow, doesn’t that lead to the betterment of the specific community, or even society as a whole? As a CEO or manager, are you using your subordinates as a means to attain the quarterly revenue, or are you using your target revenue as a means to grow your employees’ knowledge and skills? As a thesis supervisor, lecturer or teacher, are you using your students as a means to get your research done, or are your using your research to push your students to learn and experience more? As a parent, are you using your children as a means to get your image of “the ideal parent”, or are you really investing in nurturing and helping them grow, regardless of what image others will perceive of you? As a friend, are you using your friends as a means to make your life easier, or are you committed to helping them with their trials and tribulations in life, even if it inconveniences you? I’d like to end this article with a story shared with me by a client of Etsko Schuitema’s, a retired managing associate who is now part of an advisory committee for the South African government. Halfway through the interview I was conducting with him, I asked him why he was so determined to help his subordinates grow, even if it could be detrimental to the results of his company. He continued saying: “The other way is more involving, and it takes a lot of energy, time, and personal involvement, especially when you are dealing with difficult individuals who don’t have the type of maturity that is required to operate in an environment that Etsko teaches. This is a stellar point to take home and make intention for as well: to touch the lives of others positively through our work and our leadership. May Allah make our intentions clear, our actions beneficial and our affairs easy. Ameen! Please leave your thoughts and comments below and tell us what you learned, what you wish others could learn about this topic and about involvement in leadership in different workplaces.